The Americana Radio Airplay Albums Chart and Singles Chart are emailed to approximately 6,000 industry professionals on a weekly basis including radio stations, retailers, promoters, publicists, event producers, labels, and more. 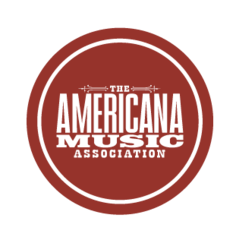 The Americana Album and Singles charts email preview the Top 20 on each chart and will have a link that will take you to the complete Top 40 listing on our website. You can view an example of a web ad here and an example of an email ad here. Your ads will display on both the email and website of the chart of your choosing. Buy one, get one half off. If you purchase advertising for both the Albums and Singles Charts, then you will receive a 50% discount on the second chart ad. Text must be legible when viewing at 30%. Files must be sent as JPEG or PNG. Mobile users: To properly view rate table, please rotate your device horizontally. Americana Honors & Awards nomination or vote solicitation advertisements, including "for your consideration" verbiage, are strictly prohibited on the Americana Radio Chart. Our monitored airplay charts provide an accurate and transparent representation of all Americana albums and song tracks played by our radio reporters. Your advertising will be geared to all the influencers, tastemakers and radio stations that receive these charts. If you are interested in advertising with us, all artwork and complete payment must be submitted by 5pm (CST) on the Friday preceding the Tuesday release of the radio chart of your choosing. Please email Michele Rhoades at m.rhoades@americanamusic.org if you have any questions.